Germany swept the singles in their Davis Cup tie to take a 4-1 win over Brazil to qualify for the Davis Cup World Group next year. It was a fairly straight forward weekend for the Germans who were clearly far more at home on the indoor courts than their South American opponents. 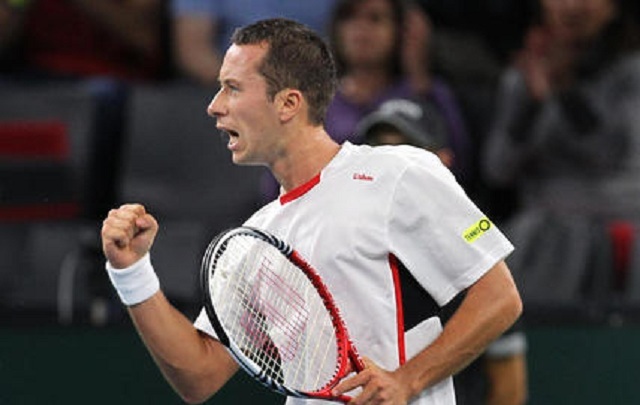 Philipp Kohlschreiber (Profile) hit 13 aces in his victory to get his team off to a good start. Rogerio Dutra da Silva (Profile) competed well but was never really in it, falling to a 6-3 7-5 6-4 defeat. 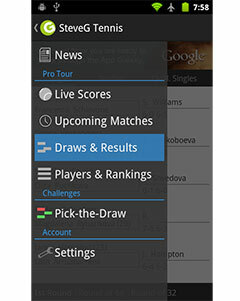 Thomaz Bellucci (Profile) made it eight defeats in a row in all competitions and was outclassed by Florian Mayer (Profile) in straight sets too. The German was solid on serve winning 74% of his service points and facing just one break point. It was taken but Brands broke his opponents serve six times to make it 2-0 to the Germans with a 6-4 6-1 6-2 win. The high quality doubles pairing of Marcelo Melo/Bruno Soares ensured that the tie would be taken to day three with a dominant performance on serve. They saved the only break point they faced as the team of Daniel Brands and Martin Emmrich were dealt with easily in straight sets 6-3 6-4 6-4. Bellucci made it nine defeats in a row on day three as Brands sealed the victory for the Germans with a dominant performance. Brands saved all seven break points he faced and converted four of his own while winning 84% of points on first serve on the way to a 6-4 6-2 6-3. In the dead fifth rubber, Mayer made it 11-0 in sets during singles play for the Germans with a 6-4 6-2 win over Dutra da Silva.